I said I was done with calendars. I’ve said I was done 3 or 4 times. I lied. Big fat whopping porky-pies. Sorry. But this was asked for and frankly my life has been chaos for a couple of weeks. Now virtually all of the work has been done, everything had been delivered that needed delivering, and I am fairly confident it is safe to move stuff back into rooms that have been cleared and clean, and with the CyberCrop on UKS winding down, I was faced with the choice between posting nothing today, or whacking up another calendar post. I opted for the post. So just quickly – these are 3-to-a-page CD sheets. 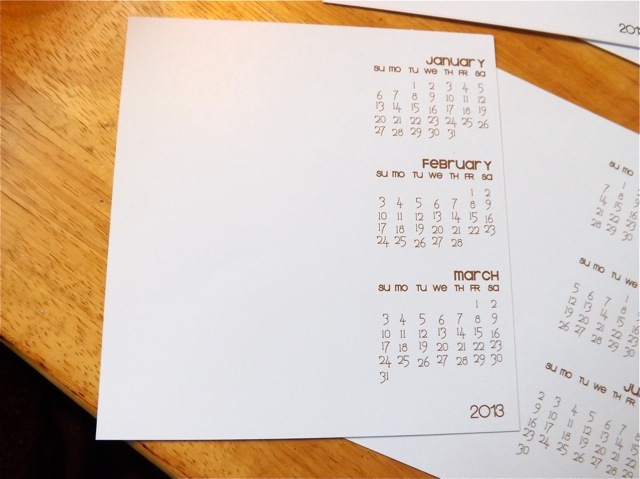 They can be stamped and decorated down the left side, perhaps making a quicker gift as there are only 4 sheets to decorate. 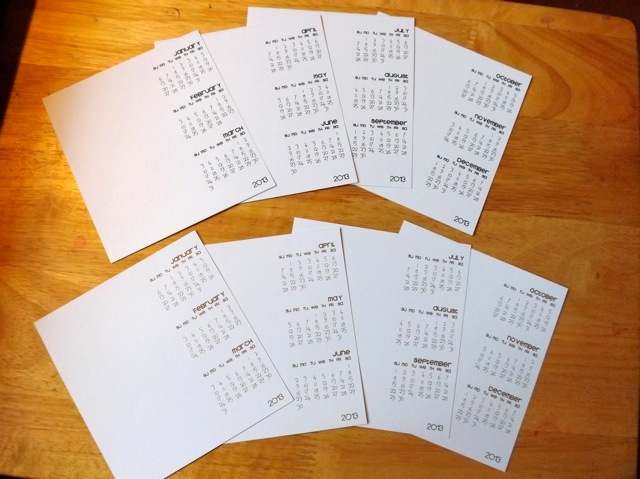 As it was easy to adapt my other CD calendar set, I just took an hour and bashed them out. The Black set is here, the brown set is here. Hopefully they will be of use to you. While I don’t take “requests” per se, if it’s as easy to do as this was, I will help if I can!